That was INCREDIBLE! Not only did you pass, The fact that you were able to see all the colors across the spectrum proves that you have 20/20 contrast vision. This means that you can see better than the average person, and live in a more colorful world! You have really good eyesight! You eyes are in perfect condition, and there's nothing better than that. It looks like you missed quite a few colors. 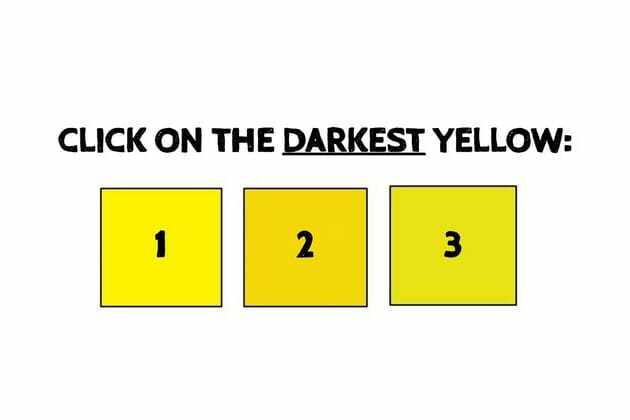 This could mean one of two things: You either answered too fast, and clicked on the color that you THOUGHT was correct, as opposed to what you ACTUALLY saw, or you could be slightly colorblind. Try taking the test again, and let your eyes lead the way! Can you see all of the colors across the spectrum?